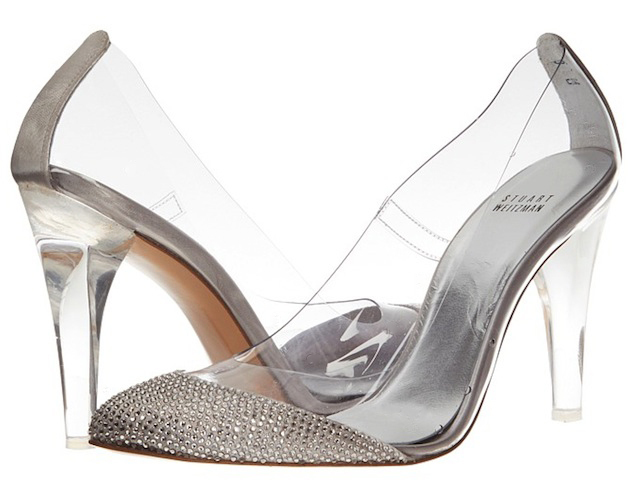 These clear Stuart Weitzman Cindy pumps with sparkly crystal embellished toes and lucite heels are so very pretty. One could totally be a real life Cinderella in these modern day glass slippers! Given my ankle issues, I won't be wearing heels anytime soon. Thank you so much to everyone who offered their support about this on my last post! The prognosis was pretty much what I expected. I was quite relieved when I saw my new brace. It's soft and can fit into most of my shoes. My doctor told me it's what he gives to most of his pro-athlete patients. It does feels like ankle jail compared to the last one but keeps everything supported and in place which is the point. I have to wear it for at least 6 weeks and I'll start physical therapy in 2 weeks. Those shoes are absolutely gorgeous. I love this style. It's a perfect choice. Those heels are amazing indeed but healthy comes first..Get well soon dear!Hope you will be okay and hope your theraphy will be success too! Wow gorgeous shoes perfect to wear for a gala and wedding. Those really are Cinderalle shoes, so pretty! Sorry to hear about your foot problems though. 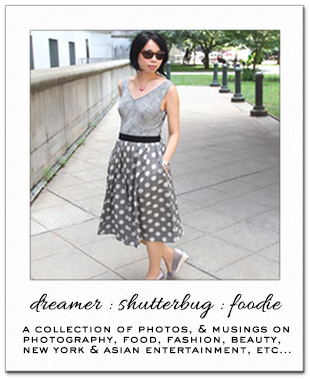 i was just thinking "cinderella" when i saw the thumbnail before i opened your blog post up! very pretty shoes! and good luck on your physical therapy!! I'm glad your new brace at least doesn't feel too stiff or constrain you too much. I just love these Cinderella shoes and hope you get to rock your own some day! i'm crushing on those too! I'm glad you're getting some relief Rowena. You'll be back on point in no time. Those shoes are fabulous. I love the style of clear shoes they're coming out with now. So elegant. This took my breath away! Wow, its such an exquisite pair, any girl's dream to own. Love it! The braces will be off in no time, I'm sure. :) Good to know that the braces are soft. I adore these shoes! So fabulous and unique! I sure hope your ankle gets better that you will be able to wear some heels again! I really can sympathize! I was in a wheelchair off and on for 3 years after an accident. It does get better! Take it one day at a time! Sorry to hear about your foot hopefully you will not have to wear the brace too long I can see why you are crushing on these shoes. These heels look great, but I have a distrust of how my feet would look squished into all that plastic. I'm glad you'll be taking some time off of your feet. These would've been my dream shoes back in high school--so cute!! Hope your ankle issues clear up soon! Those are beautiful heels!! So sorry to hear about your ankle...hope it gets better soon sweets. Wow, they really are Cinderella shoes! I wouldn't wear them though, how could you run or play ball?? I hope your ankle gets better soon!! You can wear them when you are out of ankle jail. I'm sorry your ankle feels bad but it sounds like it's on the mend. I hope the 6 weeks fly by. I don't think I've done many touristy things in NYC but the circle line tour sounds like fun! And I had no idea about the duck boats in Manhattan. I don't think I've ever seen them. I'm glad you know about all the actors/actresses/idols. It's not something I would probably find out myself so I'm glad you keep me informed. I agree that some of them are terrible at acting as well. I love the smell of tomato plants so I can understand why cute bunny likes them, but I had to put my foot down and tell him that if happy woodchuck can just eat grass and weeds, he should be able to as well. I'll take the fence down when the tomatoes are gone so he can finish eating the plants. Hope you see an improvement in your ankle soon Rowena. I love these heels but also wouldn't be able to wear them - anything about a mid heel and I'm useless! Wow, wonderful shoes it´s like cinderella shoes, soo beautiful! I hope you recover very soon! I'm still out of town :) but have a second of internet access so I'm checking a few emails. Your ankle? I'll have to check your prior post.. sounds like you have good support now. OMG I'm in love!! Just amazing shoes! Glad to know your now okay. That shoes is really awesome. That's what a modern Cinderella would wear! Hi Rowena.. Thanks for your suggestions on my previous post :) I do love headbands and clips for shorter hair too. Happy Friday! They look like a modern twist of the cinderella shoe. Hope you get your feet in shape soon! I agree with Cecilette! Love them. These are gorgeous, though a little bit too blinged out for my liking. Beautiful heels! With a baby due soon, I doubt I'll be wearing very many heels for a while. So glad to hear about the ankle. Good luck with the physical therapy! Good shoes which are soft and according to your weight can prevent you from many pains like ankle, knee, hip and back pain.